Usually by Monday I have happily spent my weekend immersed in a book or two, and when I emerge on a Monday morning I feel as if I've been on holiday. Escaping in to a book for several hours really does recharge your batteries almost as much as a holiday. This weekend however, I've had no such luxury. My first assignment for my Masters in Children's Literature is due in this week so I've spent the weekend ploughing through books and articles on New Historicism in fairy tales, rather than curled up reading a book of choice. Despite this, my academic reading did turn up some interesting points. I was reading an article by Jack Zipes and he made me look at my childhood of Disney obsession quite differently from how I had previously. He says that Walt Disney 'employed the most up-to-date technological means and used his own "American" grit and ingenuity to appropriate European fairy tales. His technical skills and ideological proclivities were so consummate that his signature has obscured the names of Charles Perrault, the Brothers Grimm, Hans Christian Andersen, and Carlo Collodi. If children or adults think of the great classical fairy tales today, be it Snow White, Sleeping Beauty, or Cinderella, they will think Walt Disney'. For me this is entirely true, had I not have studied literature so extensively I would never have known that Snow White is in fact a folktale retold across the globe centuries ago in varying versions, and that it was originally recorded in its more modern form by Brothers Grimm. Or that Cinderella has a similar history as an oral folktale, but was recorded in its written form in the sixteenth century by Charles Perrault, who also wrote other favourites including Sleeping Beauty. 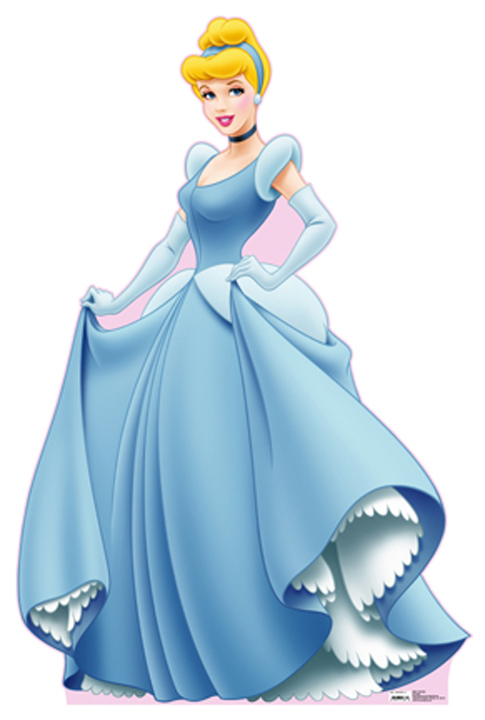 Yet no matter how much I learn, when I think of Cinderella, it is Disney's Cinderella that conjures in my minds eye. Disney captured by childhood, and not in a bad way. At the moment my research has not led me to any conclusions about any sinister ideological encoding of Disney's films. In fact, my research is making me want to spend an afternoon with my family watching Beauty and the Beast (Dad's favourite), Sleeping Beauty (Mum's favourite), The Aristocats (my sister's favourite) and Pocahontas (my favourite). On the plus side I did begin reading Secrets She Left Behind by Diane Chamberlain. I read its sequel, Before the Storm, over the summer and fell in love with Chamberlain's fiction. Before the Storm was the first of her books I had read, and I was literally over the moon when I discovered she is an established author with 19 (I think) books for me to devour. 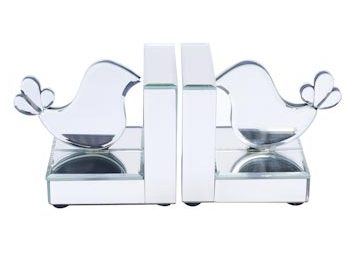 Finally, whilst perusing the internet I came across these beautiful book ends from bombay duck. I'm currently not in need of any, but I'm tempted to buy them to replace some of my others, or maybe as an excuse to put up some more much needed shelves. Anyway, I'm in need of a cup of tea before I do some more work on my MA then tootle of to work this afternoon. I hope there's a ray of sunshine in your Monday. Take care.